Valqari offers a comprehensive solution to all of the key areas of risk associated with drone delivery in one platform. Our Smart Drone Delivery Mailbox will be the step that allows customers to fully automate their process from delivery through the last mile. By having a sensor-equipped, fully autonomous landing pad receptacle, we can ensure that drone delivery will be a smooth and effortless convenience of modern life. 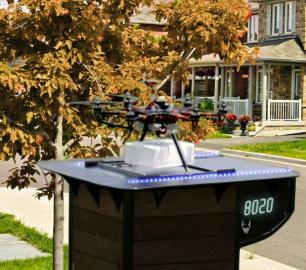 A platform which can rest in a window, or stand-alone mailbox, will allow the drone to land and release the package into a secured and lockable device, preventing theft or damage to the items delivered. All of the features are controlled by a convenient and easy to use app. As long as there is a human component in the delivery chain, risks and liabilities increase exponentially closely followed by inflated costs. Our Smart Drone Delivery Mailbox will allow for the last mile delivery process to be entirely automated. The complete automation of drone delivery will greatly reduce costs and increase the convenience for the consumers, businesses and distributors. 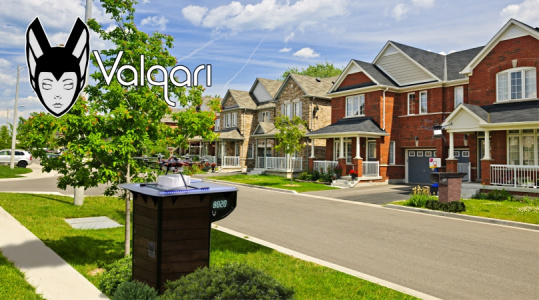 Every retailer, restaurant or delivery company will need to deliver to a Valqari Drone Delivery Mailbox if they wish to provide safe and secure drone deliveries.